"Hotel is clean and modern." Have a question for Mitisa Hotel Danang? "Compliment to these few people who made our stay wonderful and happy to be back again." 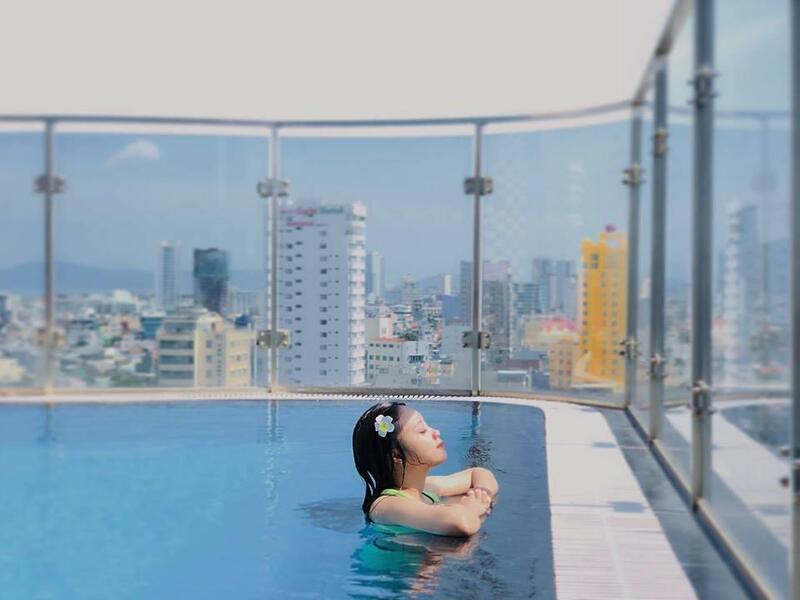 "I very happy during stay Mitisa hotel , Mr Dung and Ms Phuong Ms Mo very kind , My family feel comfortable and happy stay in Mitisa Hotel"
"Tasty and hotel service is good!" 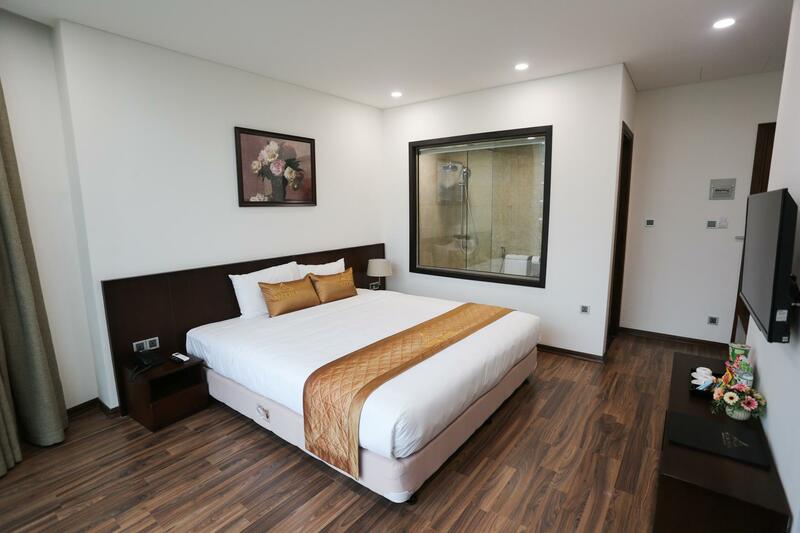 Located in the lovely area of Hai Chau, Mitisa Hotel Danang enjoys a commanding position in the sightseeing, shopping, restaurants hub of Da Nang. From here, guests can make the most of all that the lively city has to offer. With its convenient location, the property offers easy access to the city's must-see destinations. 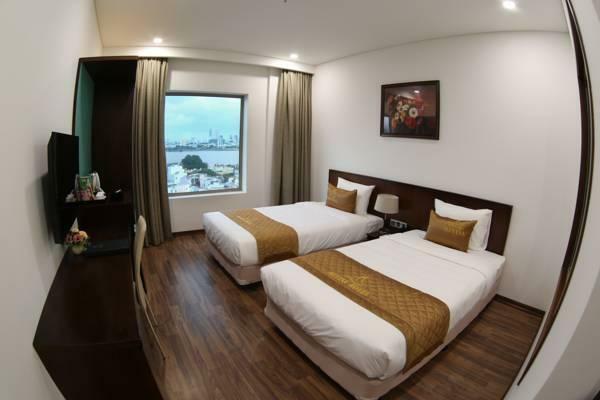 Mitisa Hotel Danang offers many facilities to enrich your stay in Da Nang. To name a few of the property's facilities, there are free Wi-Fi in all rooms, 24-hour room service, 24-hour security, daily housekeeping, 24-hour front desk. All guest accommodations feature thoughtful amenities to ensure an unparalleled sense of comfort. The property offers fantastic facilities, including outdoor pool, to help you unwind after an action-packed day in the city. 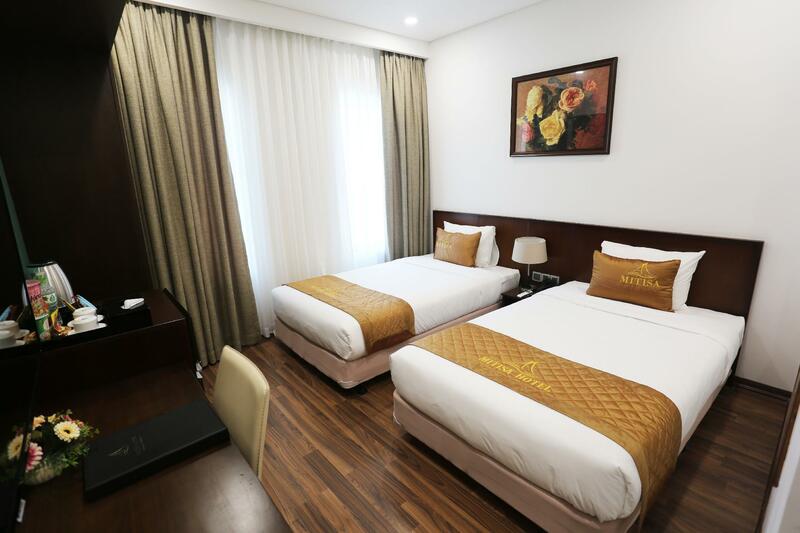 When you are looking for comfortable and convenient accommodation in Da Nang, make Mitisa Hotel Danang your home away from home. "Ms mo and team h&k ( phuong . Ngoc . Ngoc . Nha . Thuong ) v..."
Children 6 – 11 years old will be charged VND 250,000 when using existing bedding. Nice staff - Clean room and great service. Location is quite convenient. Deluxe river view room is no regret. View from the swimming pool is stunning. Staff are always ready to help. Lot of coffee café nearby. Walking distance to the tail of the dragon bridge. Good spread of breakfast. The view from the swimming pool was stunning. It was a rainy season ,we didn't get to swim but there is a small indoor lounge next to the pool to enjoy the view with paid drink. I suppose you can stay without buying drink. Thumb up for the good spread of breakfast. Staffs are always ready to help . Mr Cong Dung is very friendly and welcoming upon our arrival. The room is clean & tidy. The breakfast was great. Ms Ngan, receptionist was very polite upon our check-out. Generally, our stay in Danang is wonderful. The people here are super polite and friendly. Wonderful! Compliment to these few people who made our stay wonderful and happy to be back again. Trinh, Ngan and Trung. F&B team Phuoc, Ms Ha and Quyen. Appreciate your service in this nice cleaned hotel. Hope it sustains the cleanliness level in years to come. Had a great stay here. It's very easy access from the airport and train station and a very central location to visit Danang on foot. Rooms were clean and I had a nice view on the river. Bed was quite comfortable as well! Breakfast had good choices at the buffet and they can make you Pho (VN noodles) or eggs to your request. Mr trung. Ms ngan. Ms trinh. Ms ngoc were all very nice staff, friendly and helpful. Everyone spoke some English so communication was easy as well. Bonus: for smokers like me they have a little table out front and brought me an ashtray and tea each time I went out. This little extra goes a long way! Mr. Trung and Ms. Trinh were very friendly and very nice. This is the must stay hotel when visiting Da Nang. Management should do what they can to keep this staff happy. The people here were so kind and deserve to have great lives. Location is good and value for money. Breakfast is good. The staff are helpful and friendly . Especially the receptionists MS TRINH, MS NGAN and MS PHOUNG, The bellman MR TRUNG and MR KHANH and the restaurant waiters Mr Dat and Ms Quyen. They are very kind and courteous . Will book back again. tôi cảm thấy giản dị trong khách sạn này ngay khi tôi bước vào khách sạn này. Tất cả các nhân viên đều thân thiện. Cậu bé cửa giúp tôi đậu xe máy mà không do dự. Nhân viên tiếp tân quầy tiếp tân luôn hữu ích. Anh chàng trong bữa ăn sáng cũng rất hữu ích trong nhà hàng. đặc biệt cảm ơn ông Phvoc, bỏ lỡ, mr trung, bỏ lỡ, & bỏ lỡ tôi sẽ chọn khách sạn này một lần nữa nếu tôi trở lại danang. lựa chọn bữa ăn sáng là khá nhiều nhưng thực phẩm không đủ nóng. i feels homely in this hotel the moment I step into this hotel. All the staffs are friendly. The door boy helps me to park my rented motorbike without any hesitation. The counter receptionist are always helpful. The guy in the breakfast is also helpful in the restaurant. specially thankful to Mr phvoc,miss mo,mr trung,miss phuong,&miss trinh I will choose this hotel again if I am back to danang. the breakfast selection is quite a lot but food is not hot enough. It is a really nice hotel. Everything is clean. There is a nice swimming pool on the rooptop. 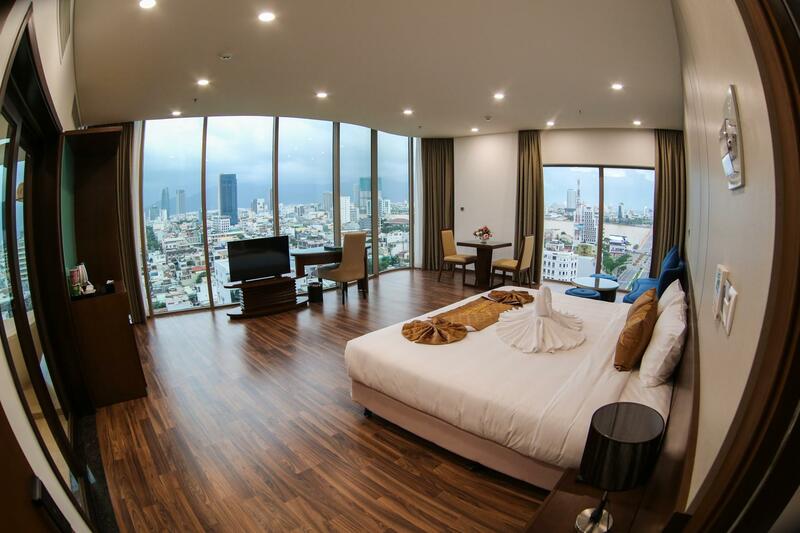 We can see Danang city view on the rooptop. The staff are very friendsly. The location is absolutely convenient to go around. We really like this hotel. For a very reasonable price, we got a clean room where everything worked, which is what you really want, but rarely get. Plus service was prompt and friendly. The nearest convenience store was a little far for my liking (around 10 min) but within walking distance.